Cooking with friends is always fun…… I cooked this at my friends’ house and they loved it. This is my very own recipe of chicken steak with mushroom sauce, I make mushroom sauce differently, people make it with chicken stock and cream, I make it richer in flavor by using Parmesan cheese and cream, more like Alfredo mushroom sauce. The best thing about this plate (in the picture) is it is full of flavors, nothing on this plate is bland, everything is seasoned well to perfection and has its own unique flavour. 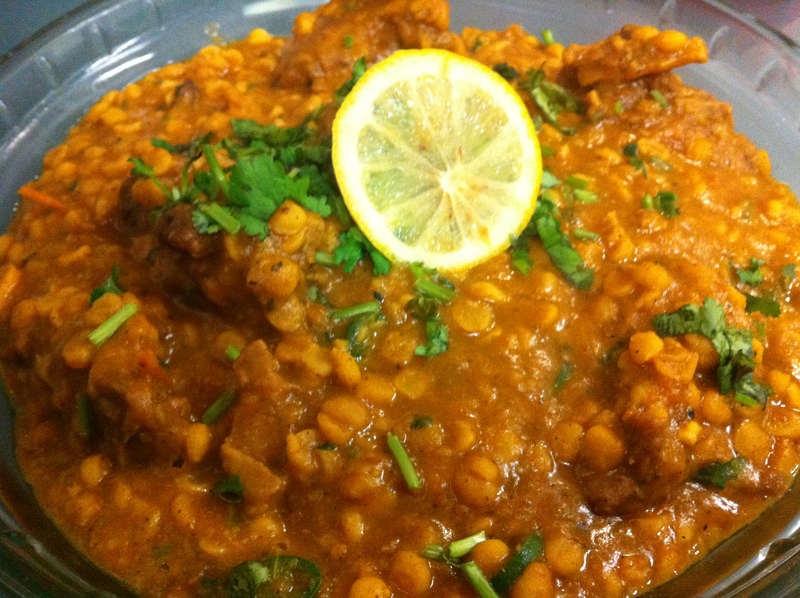 Give it a try and I am sure you will fall in love with this rich, flavoursome delicacy! First thing first, turn on the steamer. Meanwhile its heating, combine the vegetables you want to steam in a bowl, season with some Italian herbs, salt and pepper and add softened butter, toss well and coat each veggie in this buttery herb mixture. Put it in the steamer and get started on sauce. For sauce, melt some butter in a sauce pan, add mushrooms, salt, pepper and garlic powder and stir fry until mushrooms start changing the color. Add cream and bring it to a boil. Add parmesan cheese and mix well. Add chives and let it cook on low heat while we do the steaks. We have two chicken breasts cut in two thin layers each. So we have 4 in total. Put them in a large zip lock bag and pound with meat hammer to flat and thin. Season with some salt and pepper. Splash some soy sauce and rub it on. Keep aside for 10 minutes. Keep an eye on the veggies in the steamer. If they are done, put the steamer on heat mode to keep the veggies warm until needed for serving. Heat the grill pan. Smear some butter on it and drizzle some olive oil. When it is super-hot, place the chicken on it, cook in batched depending on the size of your grill pan. Cook 5 minutes per side. Add some more butter to the pan when flipping the side. Take them out on a plate first to rest for 5 minutes before transferring on to the serving platter. Transfer the steaks (2 per person) on a plate, putting the veggies on the side and hot mushroom sauce all over the chicken and plate. 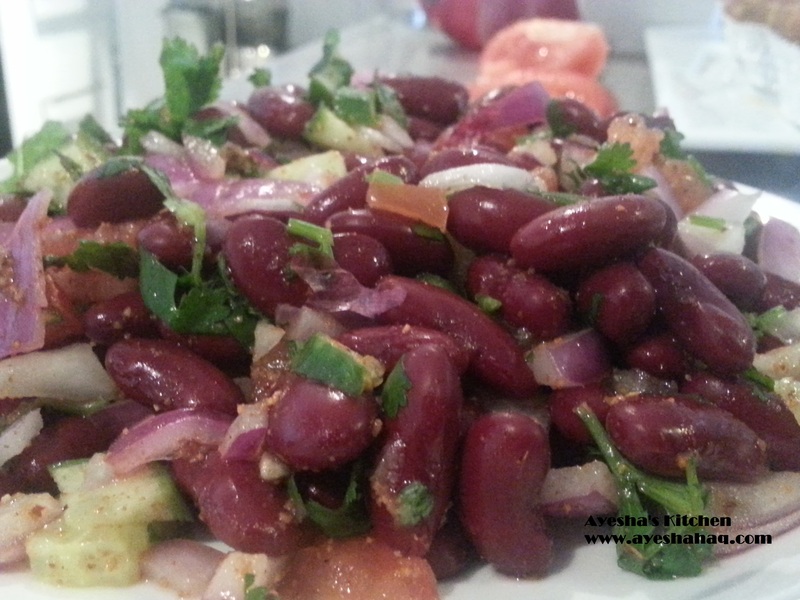 -Mix all the ingredients given for marination in a bowl. Place the steak meat on a shallow plate and pour over this mixture all over. Leave it for 30 minutes and flip the sides of the steak. -Leave for 30 minutes on the other side. -Heat your BBQ to 180 degrees, if you don’t have a temperature controlled BBQ grill then heat it 15 minutes prior to grilling on medium heat. -Place your steaks on the hot plate of your grill and cook for 15 minutes per side with the BBQ lid closed. -Then 2 minutes per side on the grill part to give grilled texture. -Take it out onto a plate and put some butter on top. Serve hot with grilled asparagus, mushrooms, pepper and potato mash. 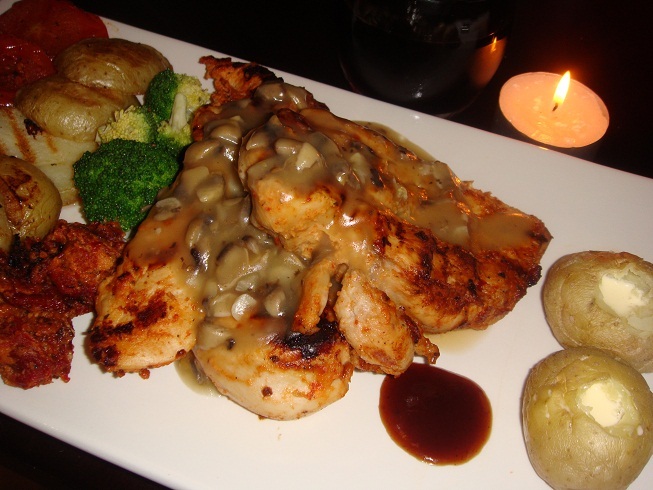 Twin Chicken Steak can be served with variety of sauces like pineapple sauce, mushroom sauce, garlic sauce, etc. but mushroom sauce is my favourite. 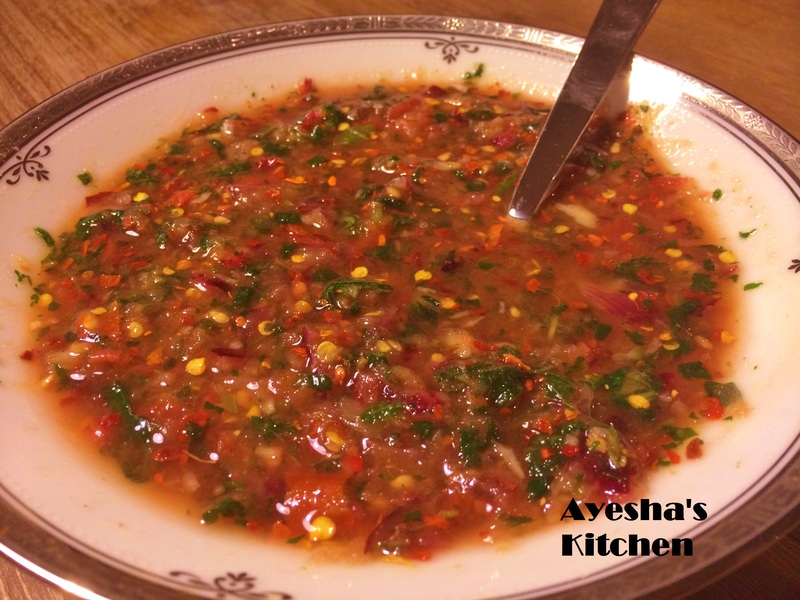 I love the mushroomy creamy taste of this sauce and it goes awesome with chicken or beef. 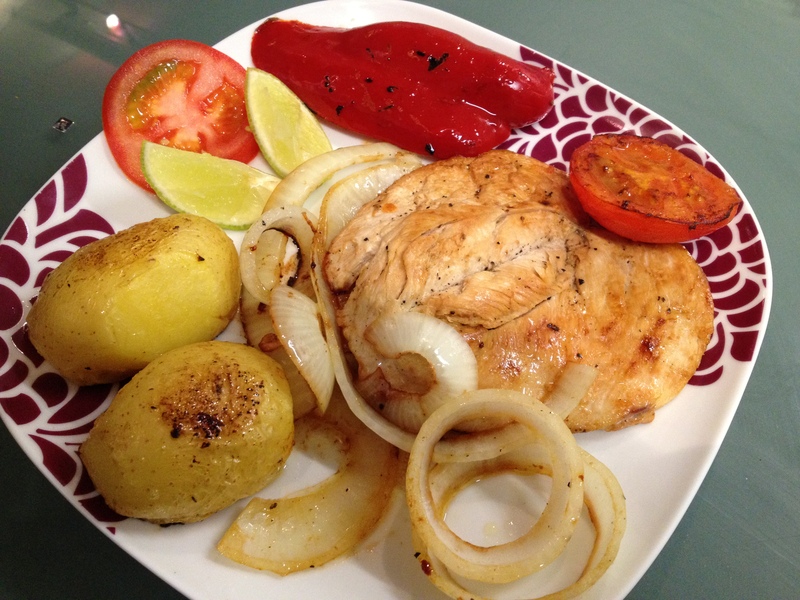 Do try this to impress that “special someone” ……..
-Marinade chicken in all the ingredients given for Steak and keep aside for 30 minutes. Heat the grill and spray some olive on it. Grill for about 2 minutes per second and take it out on a plate. -Heat oil in a medium saucepan over high heat. Add sliced mushrooms and stir-fry until they are lightly browned, reduce heat to medium. -Add cream, salt and pepper and bring to a boil. Cook for 5-8 minutes, stirring occasionally and watching that the cream doesn’t overboil. -Once the sauce has reduced by half, add crushed garlic and cook for another minute. 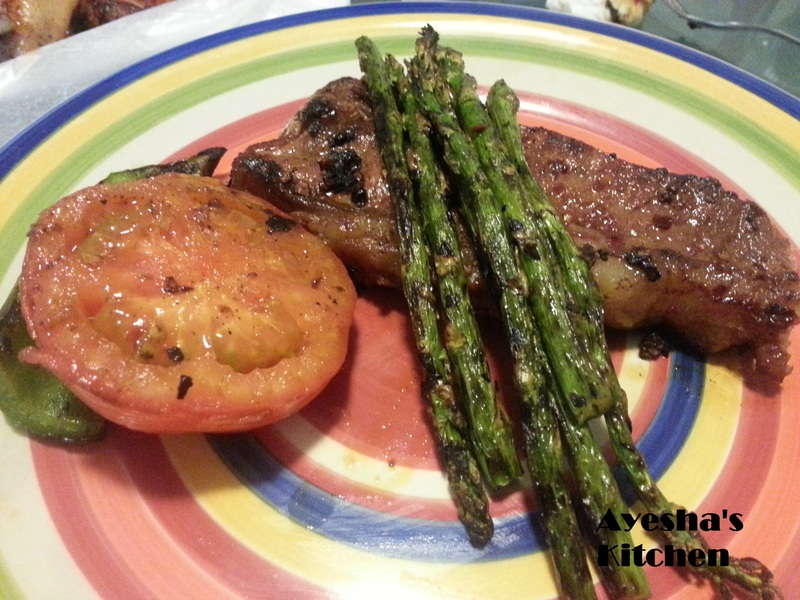 -Pour it over the steak and serve hot with some grilled vegetables. -Heat grill pan and grill chicken breasts on it until well done. -Take it out in a plate and season it with some salt. -Peel 4 potatoes and wash them. Heat in microwave for 7 minutes. -Take it out and allow to cool. Mash them and keep aside on serving plate. 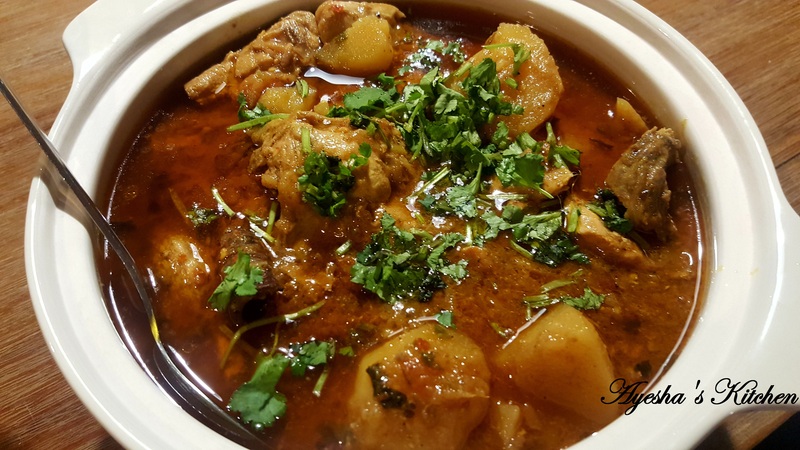 -Boil water and dissolve one chicken cube in it, add some cracked black pepper and stir. 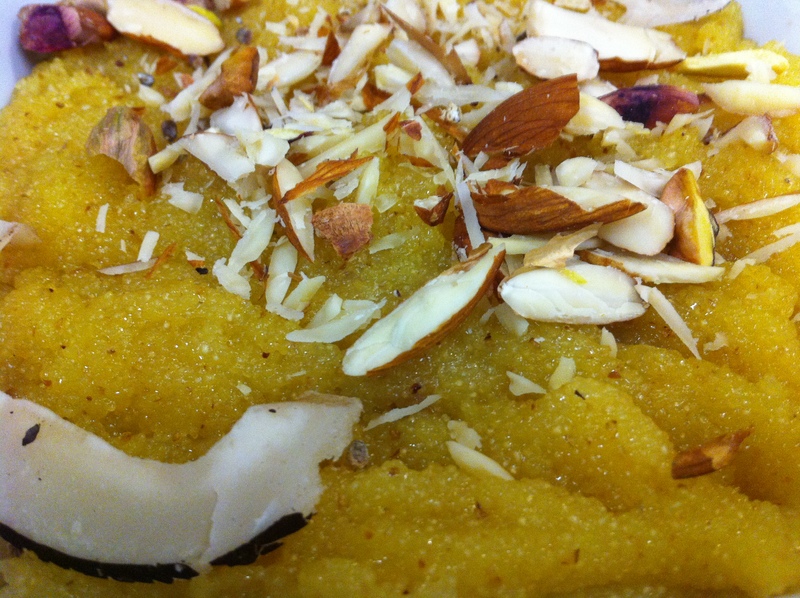 Stir in cornflour mixture and after a minute pour it over boiled mashed potatoes. -Serve hot with grilled tomato and potatoes. 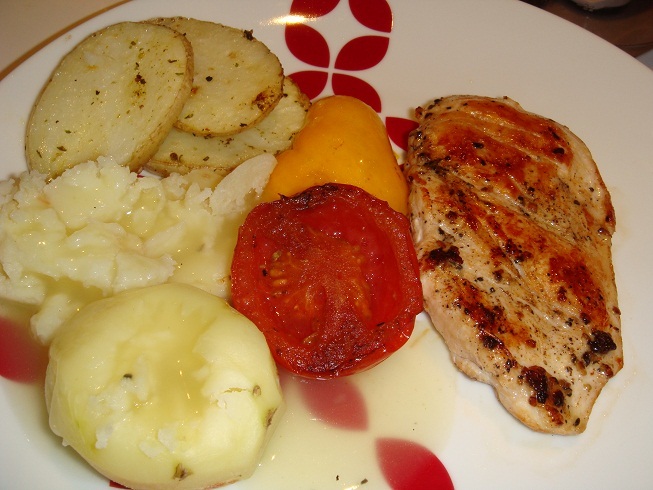 Tasty chicken steak with mashed potato and gravy is ready to serve. 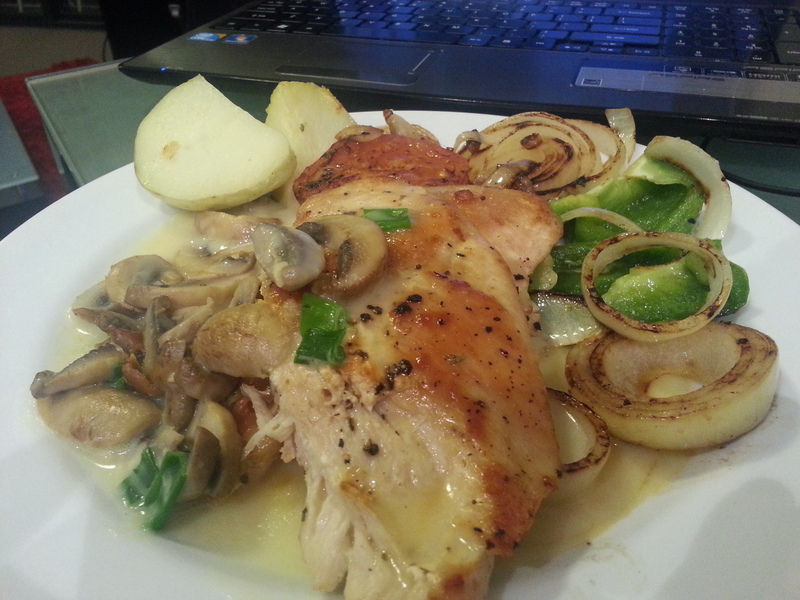 -Season chicken breast with very little amount of salt because the gravy served with that is also salty. A lovely, lite and a romantic dinner for two. Enjoy! -In a blender add all the ingredients except chicken and blend it to a fine paste. -Make shallow gashes on chicken breasts and pour over this mixture on it. -Heat the grill pan and place the marinated chicken piece on it. Turn occasionally. Grill until its well done. -Take it out in the serving dish. -Melt butter in a saucepan and add chopped garlic. When it becomes translucent add chopped mushrooms and other seasonings. Stir fry for a minute and add chicken stock. -Let it boil and add cornflour mixture. Stir and add cream. Mix well and pour over the steak. -Wash and cut vegetables according to the instructions given. Add some olive oil and herbs and spices and toss. -Heat the grill pan and place all of them on it. Turn occasionally until well done. -Place them on the serving dish with chicken. -Wash potatoes and don’t take off their skins. Glaze them with some butter and place them in a bowl. 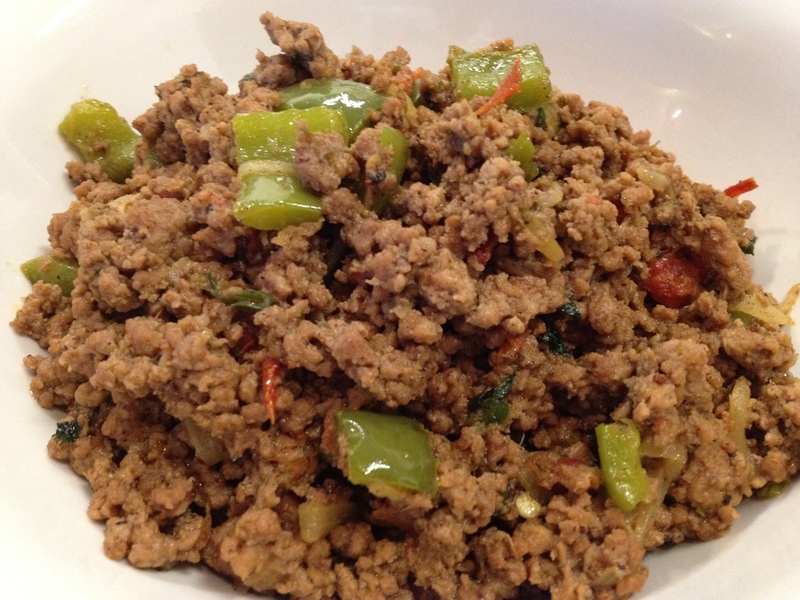 -Heat for 2 – 4 minutes or until done in microwave oven. -Take them out and allow to cool for some time. -Drill it with some sharp thing and make a hole; I usually use the end of tea spoon. -Place them on one side of the serving dish and pour some cream in the wholes. Don’t let them overflow. Marvelous New year eve’s dinner is ready for 2. Enjoy! -Use the end of spoon to make the whole in potatoes. Add 1 tbspn of cream in each one of them. This is a perfect romantic dinner for 2.